Atletico Madrid vs Bayer Leverkusen predictions for Wednesday’s Champions League second leg. Atletico Madrid look to see out their Champions League tie with Bayer Leverkusen on Wednesday. Read on for all our free predictions and betting tips. Diego Simeone took a step towards yet another Champions League final last month when his Atletico Madrid side travelled to Bayer Leverkusen and came away with an impressive 4-2 victory, thanks to goals from Saul, Antoine Griezmann, Kevin Gameiro, and Fernando Torress. The latter of these two forwards are sidelined for this second leg tie, but the advantage is well and truly in the hosts favour. They have an excellent Champions League record since Simeone took charge and I can’t see any way back for the German visitors. 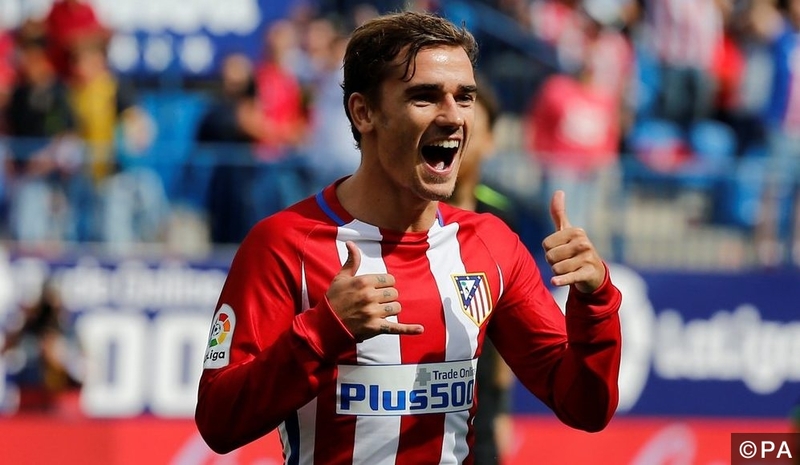 Since that victory Atletico Madrid have lost to Barcelona, drawn with Deportivo, and beat Valencia and Granada to make it six wins, two draws, and two defeats in their last ten outings in all competitions. At home they have been known to lose in recent times, but they are a different beast in Europe. They haven’t lost at home in the Champions League since the 2015/16 group stages and have won seven of their eight games there since. This includes two victories over Bayern Munich and a win against Barcelona. Bayer Leverkusen haven’t tasted victory since that first leg defeat, losing to Mainz and Borussia Dortmund and drawing at home to Werder Bremen on Friday. They have only won two of their last eight in all competitions too and find themselves down in 10th in the Bundesliga. Away from home they have two wins from their last eight matches and have lost three times. Their last trip away was a 6-2 demolition at the hands of Borussia Dortmund, which prompted the sacking of their manager and the appointment of Tayfun Korkut. The visitors have been impressive going forward this season, but I don’t think they stand much of a chance of overturning their deficit here. Atletico Madrid’s recent defensive record has slipped a bit though, with them conceding in five of their last nine home games. Bayer Leverkusen have scored in 16 of their 17 trips away this season as well, so odds of 4/5 for Both Teams to Score looks an excellent bet. I’m going for that along with a 2-1 win for Atletico Madrid at 7/1. Atletico Madrid have won two, drawn two, and lost one of their five previous meetings with Bayer Leverkusen. Goalkeeper Bernabe, midfielders Gabi, Tiago, and Augusto Fernandez, and striker Fernando Torres are out for Atletico Madrid. Defenders Jonathan Tah and Joel Abu Hanna and playmaker Hakan Calhanoglu are unavailable for the visitors. Atletico Madrid have conceded in 56% of their last nine home games, whilst Bayer Leverkusen have scored in 94% of their away days this season.